The ash content formed after burning of materials in indoor may be harmful to environment on dumping due to high ionic and metallic concentration. Therefore, the chemical composition of various indoor ash residues derived from burning of the biomass (BM), coal (C), cow dung (CD), incense (IS) and mosquito coil (MC) materials is described in this study. Three samples each of BM, coal, CD, IS and MC materials were burnt. The ash residues were collected and sieved out the particles of mesh size £0.1 mm size. The Cl–, NO3–, SO42–, Na+, K+, Mg2+, Ca2+ content (n = 15) was ranged from 0.12-8.27, 0.01-0.64, 0.74-12.53, 0.06-4.47, 0.29-15.45, 0.30-2.51 and 0.68-19.05% with mean value of 1.81 ± 1.18, 0.10 ± 0.08, 3.31 ± 1.66, 1.05 ± 0.70, 4.92 ± 2.04, 1.27 ± 0.36 and 7.68 ± 2.94%, respectively. The composition of metals, that is, Fe, Cr, Mn, Ni, Cu, Zn and Pb (n = 15) was ranged from 1100-24,600, 12-211, 109-1102, 5-142, 21-145, 25-244 and 5-42 mg/kg with mean value of 95 ± 31, 474 ± 152, 43 ± 23, 75 ± 23, 107 ± 32 and 16 ± 6 mg/kg, respectively. The enrichment and fluxes of ions and metals of indoor ash residues are described. Biedermann F, Obernberger I. Ash-related problems during biomass combustion and possibilities for a sustainable ash utilisation. Proceedings of the International Conference 'World Renewable Energy Congress' (WREC); 2005 May 22-27; Oxford, UK. Smith KR. Indoor air pollution in developing countries: recommendations for research. Indoor Air 2002; 12(3): 198-207. Ji X, Le BO, Ramalho O, Mandin C, D'Anna B, Martinon L, et al. Characterization of particles emitted by incense burning in an experimental house. Indoor Air 2010; 20(2): 147-58. Liu W, Zhang J, Hashim JH, Jalaludin J, Hashim Z, Goldstein BD. Mosquito coil emissions and health implications. Environ Health Perspect 2003; 111(12): 1454-60. American Coal Ash Association. Fly Ash Facts for Highway Engineers. Washington, DC: Federal Highway Administration; 2005. Tarun RN, Rudolph NK, Rafat S. Use of Wood Ash in Cement-based Materials, A CBU report, CBU-2003-19 (REP-513). Proceedings of the 7th CANMET/ACI International Conference on Recent Advances in Concrete Technology; 2004 May 26-29; Las Vegas, NV. Mandre M. Influence of wood ash on soil chemical composition and biochemical parameters of young Scots pine. Proceedings of the Estonian Academy of Sciences, Biology, Ecolog 2006; 55(2): 91-107. Ugurlu A. Leaching characteristics of fly ash. Env Geol 2004; 46(6-7): 890-5. Kellner O, Weibull H. Effects of wood ash on bryophytes and lichens in a Swedish pine forest. Scandinavian Journal of Forest Research 1998; (Supplement 2): 76-85. U.S. Environmental Protection Agency, Office of Solid Waste and Emergency Response, Office of Resource Conservation and Recovery. 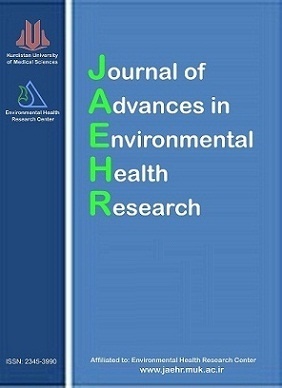 Human and Ecological Risk Assessment of Coal Combustion Wastes. Washington, DC: Environmental Protection Agency; 2007. Johnson TD. EPA considers proposals to regulate coal ash: Hundreds of coal ash dumps, waste ponds may threaten health. The Nation's Health 2010; 40(9): 1-14. Augusto L, Bakker MR, Meredieu C. Wood ash applications to temperate forest ecosystems-potential benefits and drawbacks. Plant Soil 2008; 306(1-2): 181-98. Sarenbo S. Wood ash dilemma-reduced quality due to poor combustion performance. Biomass and Bioenergy 2009; 33(9): 1212-20. Holmberg SL, Lind BB, Claesson T. Chemical composition and leaching characteristics of granules made of wood ash and dolomite. Environmental Geology 2000; 40(1-2): 1-10. Mahmoudkhani M, Richards T, Theliander H. Sustainable Use of Biofuel by Recycling Ash to Forests: Treatment of Biofuel Ash. Environ Sci Technol 2007; 41(11): 4118-23. Gong X, Wu T, Qiao Y, Xu M. In Situ Leaching of Trace Elements in a Coal Ash Dump and Time Dependence Laboratory Evaluation. Energy & Fuels 2009; 24(1): 84-90. Brake SS, Jensen RR, Mattox JM. Effects of coal fly ash amended soils on trace element uptake in plants. Env Geol 2004; 45(5): 680-9. Smolka-Danielowska D. Heavy Metals in Fly Ash from a Coal-Fired Power Station in Poland. Polish J of Environ Stud 2006; 15(6): 943-6. Abdullahi M. Characteristics of Wood. Ash/OPC Concrete. Leonardo Electr Journal Practices Technology (LEJPT) 2006; 5(8): 9-16. Zhao Y, Zhang J, Tian C, Li H, Shao X, Zheng C. Mineralogy and Chemical Composition of High-Calcium Fly Ashes and Density Fractions from a Coal-Fired Power Plant in China. Energy Fuels 2010; 24(2): 834-43. Rayzman VL, Shcherban SA, Dworkin RS. Technology for Chemical?Metallurgical Coal Ash Utilization. Energy Fuels 1997; 11(4): 761-73. Capablo J, Jensen PA, Pedersen KH, Hjuler K, Nikolaisen L, Backman R, et al. Ash Properties of Alternative Biomass. Energy Fuels 2009; 23(4): 1965-76. Murko S, Milacic R, Veber M, Scancar J. Determination of Cd, Pb and As in sediments of the Sava River by electrothermal atomic absorption spectrometry. Journal of the Serbian Chemical Society 2010; 75(1): 113-28. Deshmukh DK, Tsai YI, Deb MK, Mkoma SL. Characterization of Dicarboxylates and Inorganic Ions in Urban PM10 Aerosols in the Eastern Central India. Aerosol and Air Quality Research 2012; 12(4): 592-607. Deshmukh DK, Tsai YI, Deb MK, Zarmpas P. Characteristics and sources of water-soluble ionic species associated with PM10 particles in the ambient air of central India. Bull Environ Contam Toxicol 2012; 89(5): 1091-7. Campbell AG. Recycling and disposing of wood ash. Tappi Journal 1990; 73: 141-6. Ohno T, Susan Erich M. Effect of wood ash application on soil pH and soil test nutrient levels. Agriculture, Ecosystems & Environment 1990; 32(3-4): 223-39. Osteras AH, Greger M. Accumulation of, and interactions between, calcium and heavy metals in wood and bark of Picea abies. Journal of Plant Nutrition and Soil Science 2003; 166(2): 246-53. Vardaki C, Kelepertsis A. Environmental impact of heavy metals (Fe, Ni, Cr, Co) in soils waters and plants of triada in euboea from ultrabasic rocks and nickeliferous mineralisation. Environmental Geochemistry and Health 1999; 21(3): 211-26. Osteras AH, Sunnerdahl I, Greger M. The Impact of Wood Ash and Green Liquor Dregs Application on Ca, Cu, Zn and Cd Contents in Bark and Wood of Norway Spruce. Water, Air, and Soil Pollution 2005; 166(1-4): 17-29.